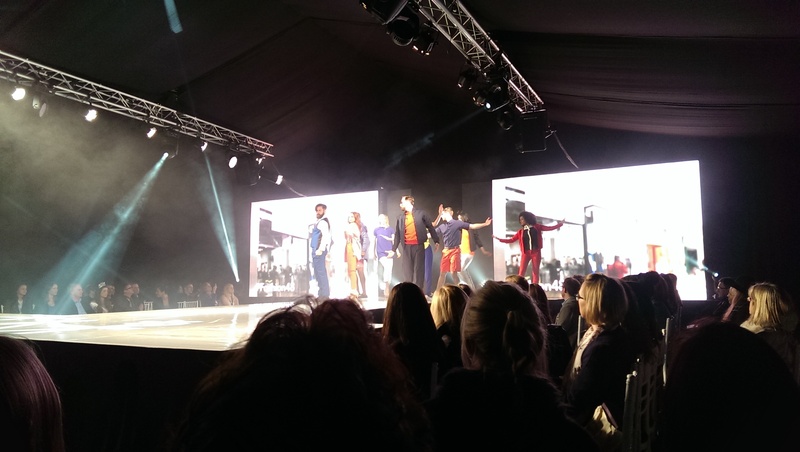 Last night I was lucky enough to attend a sneak preview of 48 Hours of Fashion 2014. The event is one that is close to my heart as it is organised by the Nottingham Business Improvement District, and I was involved in last year’s event before I went on maternity leave. It is on today and tomorrow (29th-30th March), so if you have any spare time this weekend head down to Old Market Square and take a look. You can’t miss the massive marquee! Inside there will be fashion shows taking place hourly throughout the weekend, which are free to watch. The shows aren’t your standard catwalk shows with models strutting up and down. They incorporate dancers, music, and large screen projections of Nottingham to turn it into a real performance. You almost forget you are sat in the middle of the Square. There are also going to be various master classes held on the catwalk throughout the weekend, so it will be worth stopping in a couple of times to see what’s on. I’ve mentioned before that I’m not a very fashionable person, and tend to buy clothes that I like over what is deemed stylish. My favourite thing about this event is that it doesn’t tell you how to dress, it shows you what Nottingham retailers have to offer. I think we’re really lucky to have such an eceletic mix of shops for such a small city centre, it’s one of the reasons I love living here. As a new addition to the event this year they have launched a 48 Hours of Fashion charity t-shirt. It was designed by a local young designer, Charlie Taylor, as part of a competition, and all proceeds go to the Maggie’s Centre at Nottingham City Hospital. 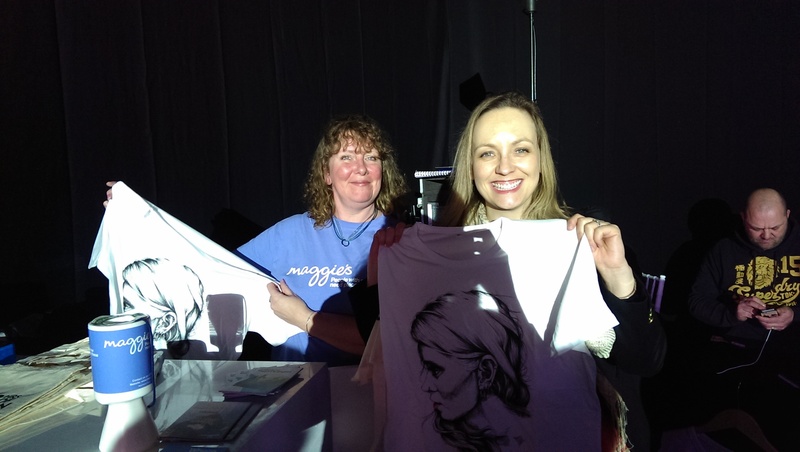 The t-shirt features a beautiful drawing of the profile of a woman, and can be bought from Wild Clothing on Broad Street in Hockley, or at the Marquee. As well as what is taking place in Old Market Square some retailers have put on special events for the weekend, or will be giving customers a glass of bubbly while they shop. A full list of everything that is taking place can be found on the It’s In Nottingham website. Shops and hairdressers across the city centre have also got involved by putting on some great special offers for the weekend. 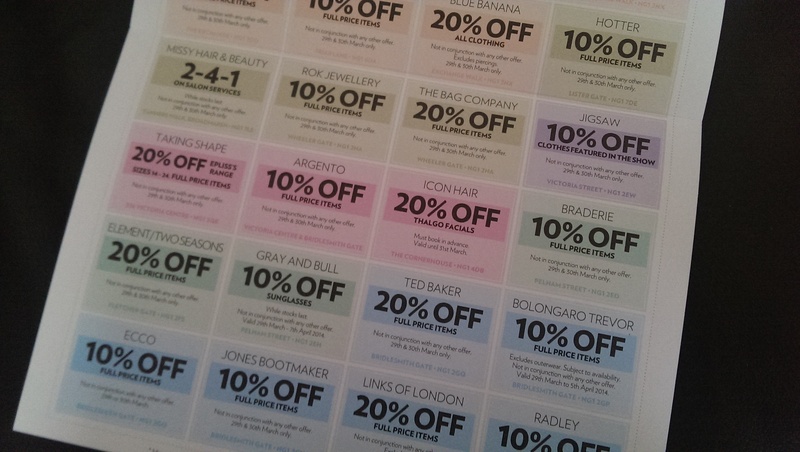 If you’re going to buy anything this weekend make sure you have one of the voucher leaflets first. Plus there are more offers, including food and drink ones, on their website. All in all, it just seems like the perfect reason to shop!